Teachers, this is a tool you will DEFINITELY want to use! 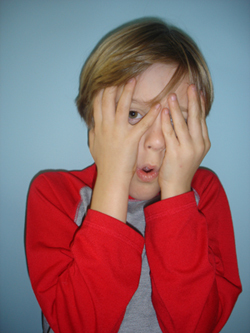 Have you ever begun to show a wonderful, preplanned, previewed educational video to your students on YouTube, only to have some embarrassingly inappropriate content show up in the sidebar? (I’ve got to admit, it has happened to me!) You’re so excited for the students to learn about how sedimentary rocks are formed, but you totally lose the class when there’s a semi-nudie pic in the thumbnails over there on the right. So much for rocks. Hopefully, you weren’t being observed that day! ViewPure is a website tool that allows you to enter the web address (URL) for any YouTube video, and it removes all of the sidebar distraction! Yup ~ it shows a pure view! Just your video with a white screen as the background. And oh, is it easy to use! There are two things that are especially nice about this site: you can search for videos right on ViewPure (so you don’t have to go to YouTube first; then copy/paste); AND it allows you to install a little bookmarklet on the bookmarks bar. Teachers love free stuff, and we primary school teachers love decorating our classrooms, too….especially at the beginning of the year when everything is new and fresh and shiny! So here’s a timely little gem for you….Poster Street. The site couldn’t be easier to use. There are 5 main categories: Office, Home, Teacher, Teen, and Kids. Just find any poster that you like, click on the red “free download” button, and print! There are some really beautiful and inspirational posters here, and I’ve found some great items in every one of the categories! If you’re looking for cute, quick, easy, and free…this is a site for you! Although I’m using the term ‘poster’, it’s really more like a sign. If you simply go to print your selection, you’re going to get a printout on your standard 8.5×11 piece of paper ~ unless you set up some advanced printer options for multi-page printing and then do a little assembly work with the pages. Teachers, Coaches, & Parents: If you scroll to the bottom of the home page, you’ll see that they have a link to their sister-site, Certificate Street. It’s not bad, but the free versions of the certificates have a watermark. The poster-printing that I’ve shared with you IS free, but of course websites are interested in making money. They do have a link to their store on the page, where you can choose to buy clothing, stickers, etc. with the same graphics. 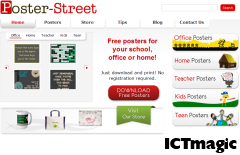 If you have a blog or website, you’ll notice that Poster Street kindly includes an easy embed code for each poster. Here’s the link again, and I hope you find some great posters to jazz up your space and inspire your students! Navigation Tip: I’ve shared this before, but it’s a good tip to know. On this site (most sites), if you click on the logo (Poster Street), it will always take you back to the site’s home page. Often, I like to do ‘list posts’ like many other bloggers. “5 Great Sites About Seeds” or “Top 10 Websites for Learning About Spiders”. 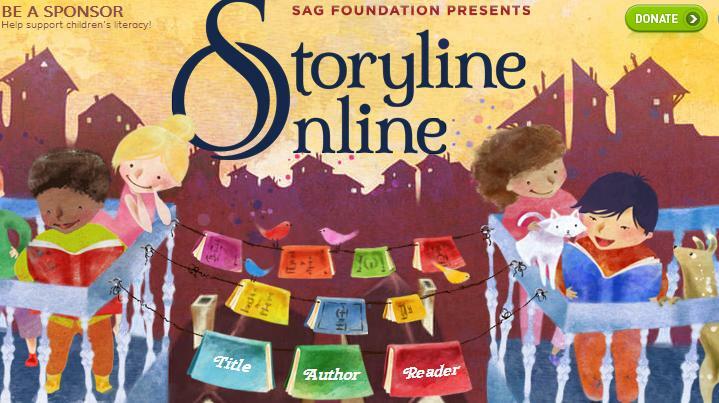 Today, I’m dedicating this post to just one site – Storyline Online. I think it’s really a clever, well-done site. The site currently has a selection of 27 books that are suitable for all primary grades, and they will be adding more. Each book is read aloud by someone famous. (The site is actually put together by the Screen Actors’ Guild.) Look for readers lilke Betty White, Elijah Wood, and Melissa Gilbert. The actor appears in a video, introduces him/herself and the book, and then reads the book aloud as the video cuts to the actual pages of the book. There is a close-captioning option. I like to turn it on. I think that it only helps students when they can see the words as they hear them being read. There is a full-screen option. You’ll probably want to put this on if you’re using a projector or SmartBoard. There are sound effects like music and noises that are added to the readings to make them even more interesting. There are standard video control buttons, so you can pause or rewind to discuss the story. This can be such a valuable site for teaching and discussing so many of the Reading strategies: inferencing, visualization, drawing conclusions, making predictions, etc. I love the idea of using it for whole or small groups to teach these concepts, but it would also be great as a computer station Reading activity. If you had a prepared set of questions for students to answer, as a student independently views the book, he/she could rewind and go back ‘into the text’ to find answers. Feel free to leave comments on this blog or on the Facebook page if you have other suggestions for using this site or extension activities you tried with any of the stories! 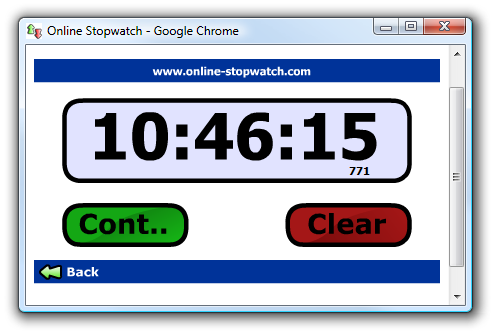 One of the tools I use most often in my classroom is an online countdown timer. I simply set a desired time, use my projector or SmartBoard to make it life-size, and click start! My favorite use is for those timed writing prompts. It really helps students to plan their writing when they can see how much time they have left. Of course, it’s also great for Math Minutes, cooperative group meetings, think-pair-share sessions, clean-up time management, or even just a countdown to recess! 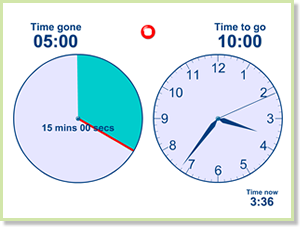 I’m sure you can think of a ton of ways to use a big ol’ visual countdown timer in your classroom. I’m sharing 4 examples here today. Each has similar features but a few subtle differences, so it’s just a matter of choosing the one that you like best. They’re all pretty self-explanatory…just enter a time and click start! I hope you find TIME to check these out and find one that you can use! 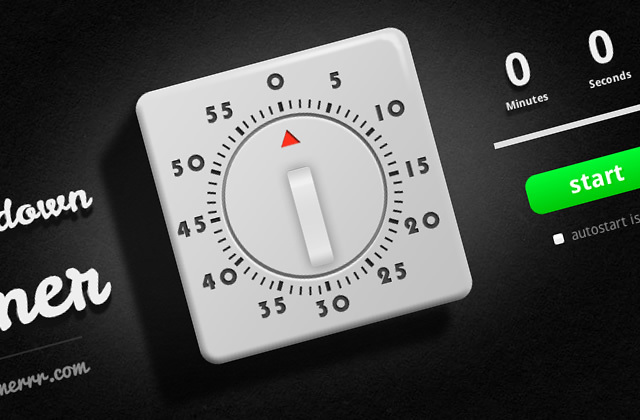 Let us know in the comments (or on the Facebook thread) what creative ways you have found to use online countdown timers! 1) Humor: It’s important to let you know from the get-go that I’ve got a sense of humor and I’m not afraid to use it. I love funny things & I love to laugh! 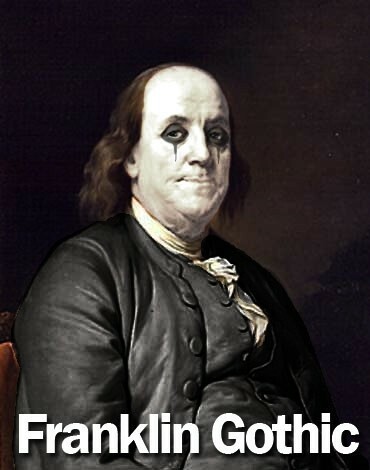 So, you’ll see a bunch of little ha-ha-ha’s on this blog like good ol’ Ben above. If you find some funny stuff related to computers, tech, or teaching…please feel free to add ’em to my Facebook feed so that the whole class can enjoy! 2) Humility: I’ve got to tell you right off the bat that I’m swimming upstream in this technology thing just like the rest of you! It’s a constant effort to keep up with it all, stay current, and do self-training. I constantly turn to colleagues, friends, blogs, and the rest of the big ol’ internet to just keep learning. There’s so much I don’t know…so much I want to know. Sometimes, the tech gurus on the forums and even some of my colleagues are SO mega-tech-savvy that I’m intimidated to even ask for help. So… I’m not ashamed to say that I learn much better when I can ask a question without feeling stupid, and someone actually takes the time to explain or show me – on my own level. Since I believe in treating others the way I want to be treated, that’s very much how I like to interact with others who come to me for an idea or for help. Please feel comfortable here. – Everyone is at a different place in their learning journey. Differentiation is cool. – Greet enthusiastic questions with enthusiasm, gusto, and perkiness… no matter how basic it may seem. – Things that seem simple or obvious might just have a big WOW factor for someone who hasn’t tried it before!